Size: 27 x 32 cm. 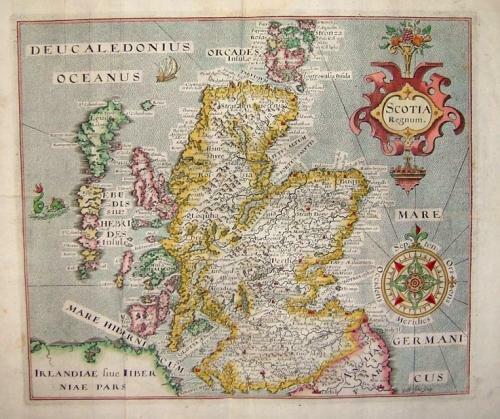 A rare and decorative map of Scotland. In good condition with good margins. It has some minor creasing that could be pressed out and mild toning in the margins, well away from the image area.